One of the most thrilling parts of being a musician is sharing your talents with others through performances and live shows. While this can be a fun, adrenaline-filled experience, it can also be quite nerve wracking. To ensure you deliver your best performance possible, you’ll want to be as prepared as you can be. Trust us when we say there’s nothing worse than being under prepared for a show; it usually results in a bad experience for both the audience and the musician….and nobody wants that! So how exactly should you prepare for your first show to ensure a stellar performance each and every time? Read on for helpful tips and tricks! The number one thing you can do before a live gig to ensure it’s successful is to practice, practice, practice. When it comes to live shows, the more practice, the better (especially if it’s new for you). Frequent practice, whether by yourself or through music lessons, will only help you become a better musician and help you easily identify and correct your weaknesses. 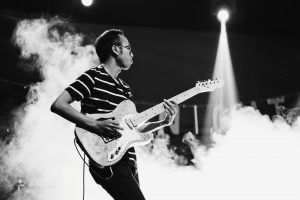 Additionally, practicing your set before a show will help you work out any potential kinks and will enable you to have fun on stage instead of worrying about which notes to play or difficult finger movements….all of that will feel second nature to you thanks to all your pre-performance hard work! On the day of the show the best thing you can do to prepare is too arrive early to give yourself enough time to set up and do a soundcheck. This is a simple but critical step that many musicians overlook. Arriving early will allow you to fully warm up, set up all your equipment, and take some time to mentally prepare and focus on the upcoming show, all of which will help to minimize your stress and pre-show jitters. If you really want to deliver an amazing live show with minimal mistakes and setbacks, consider holding a practice performance. A week or two before your music gig, run through your complete set from start to finish just as you would on the actual day of the show. To make the most out of your practice run, recruit friends or family to listen to you play, so they can give you feedback and tips on your performance to help make the real thing even better. Alternatively, you can also record yourself while practicing, so that you can watch your performance afterwards and focus your energy on improving any obvious weaknesses. Never expect a performance to be perfect. The truth is it probably won’t be because you’re human, and humans make mistakes. If you embrace the idea that mistakes are inevitable, you won’t fear them as much, and your stage fright and concert nervousness won’t be as intense. The more you can learn to accept the possibility that something might go wrong, the more you can be prepared for it and not let one little mistake derail your whole performance. Finally, don’t forget about music lessons! Besides practicing, music lessons are a highly effective method to prepare for a live gig. 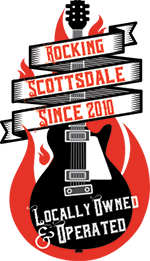 Music lessons like the ones at Scottsdale Music Academy are a fun, yet challenging way to improve your skills and get plenty of practice playing in front of others. 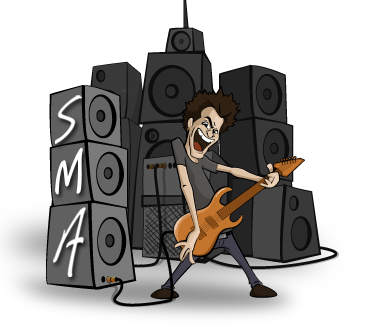 For guitar, drums, keyboard, or vocal lessons, contact Scottsdale Music Academy today!